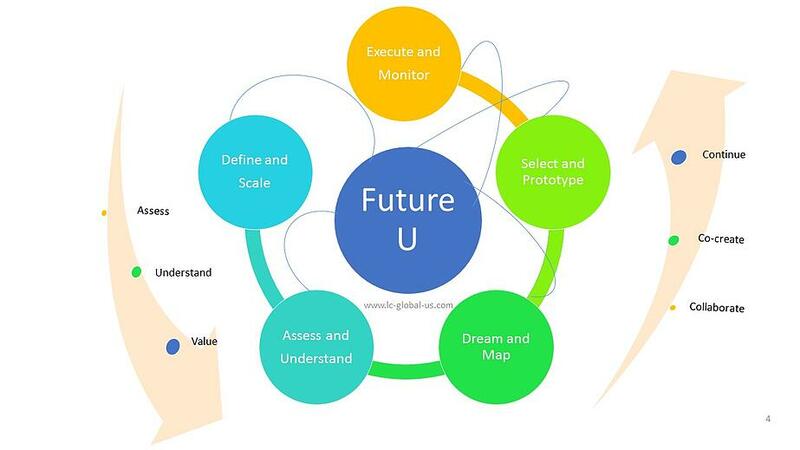 "Future U" is a unique process designed to strategically innovate the future of your teams, products or organization. 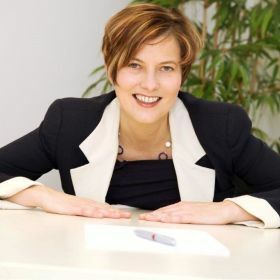 Using a collaborative and holistic approach, we distinguish the unique strengths and success factors of your current system to identify outstanding opportunities for growth and innovation. Since the new approach will be built on the success factors of the old, you will know how to repeat your success - time and again. "Future U" is a unique process designed to tap into the most authentic strengths of your current system and utilize your collective intelligence to create a new dynamic, resilient and desired future. Areas of Application: Strategy/Vision/Mission Finding Processes; Product and Business Innovation; Organizational Change and Culture Development. John has practiced at the intersection of creativity and innovation for over 30 years, helping to develop new products and services, as well as designing new innovation models, programs, and curricula. He has worked with the lab teams at IBM, Bell Labs, Epson, NTT, Arm & Hammer, and Kraft. He has developed innovation and creativity programs for GE, Nationwide, Glaxo Smith Kline, and the National Science Foundation. 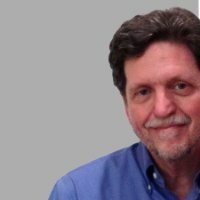 He has supported product management teams at SAP, LexisNexis, Lucent, and Microsoft, as well as change management initiatives at GM, Exxon, and PepsiCo. John specializes in addressing business and technical challenges with creative strategies that leverage social, psychological, and cultural dimensions of the process. WOW! THIS PROCESS SIMPLY WOWED US! DURING THE TIME THAT WE WERE IN THE PROCESS OF BEING NOTED ON THE NEW YORK STOCK EXCHANGE WITH ANOTHER COMPANY, WE WORKED WITH LC GLOBAL TO LEAD OUR GLOBAL FINANCE MANAGEMENT TEAM THROUGH AN IMPORTANT CHANGE PROCESS. THE 'FUTURE U' SESSIONS WERE EXRTREMELY HELPFUL AND BOOSTED OUR TEAM MORALE AND COLLABORATION SIGNIFICANTLY. NOT ONLY CAN I RECOMMEND "FUTURE U" AND LC GLOBAL WITH THEIR UNIQUE COACHING PROCESS. I CAN HONESTLY SAY THAT I TRULY ENJOYED THE COLLABORATION. WE ASKED LC GLOBAL TO HELP US DEVELOP A NEW ORGANIZATION STRUCTURE THAT IS FULLY BASED ON OUR VALUES AND CORPORATE CULTURE. WE FOUND "FUTURE U" AND LC GLOBAL'S HOLISTIC AND SYSTEMIC APPROACH ESPECIALLY VALUABLE AS IT LED US TO STRENGTHEN OUR SUCCESS FACTORS. THE IN-DEPTH ANALYSIS OF THE CURRENT STATE OF OUR ORGANIZATION HELPED US EXCEL BY LEARNING HOW TO DO MORE OF THE THINGS THAT WERE ALREADY WORKING EXTREMELY WELL. Learn how "Future U" can foster the strategy, growth and innovation of your organization.